The municipality of Hacılar (12,381 inhabitants in 2012, 11,504 in the town of Hacılar; 19,425 ha) is located 15 km south of Kayseri. 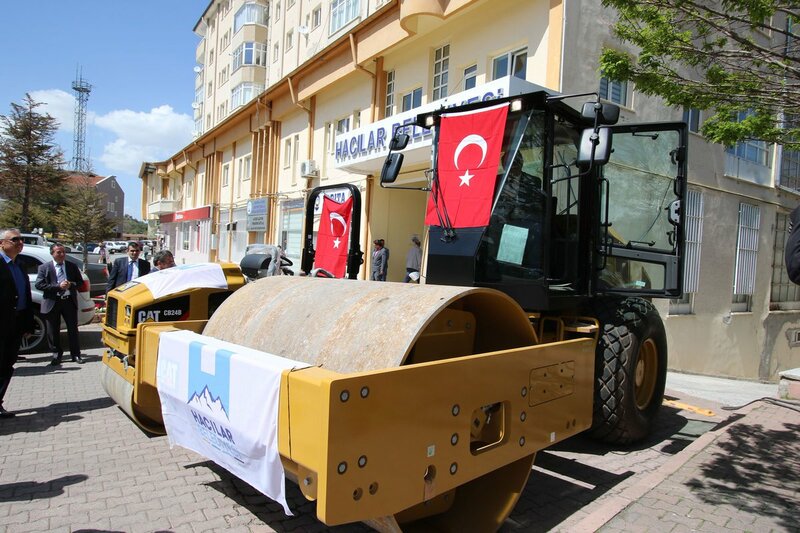 The flag of Hacılar, used horizontally (photo) or vertically, is white with the municipality's emblem, which was adopted in March 2017 by the Municipal Council. "Belediyesi" means "Municipality". The former flag of Hacılar (photo) was white with the municipality's former emblem.